I have a love hate relationship with my sewing machine due to the number of year I spent sewing for a living. Even though we sold the business over 8 months ago I still sew very little. It is not that I can't come up with projects to work on. I tend to drag my feet doing any sewing for my family or home. I just can't seem to make the time. It is always at the bottom of my list. 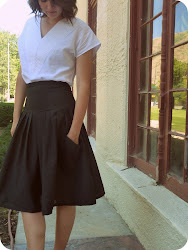 This week I have had 3 sewing project to do for friends and have devoured each of them. I have had so much fun. None of them have been very time consuming - an average of 30 min each. 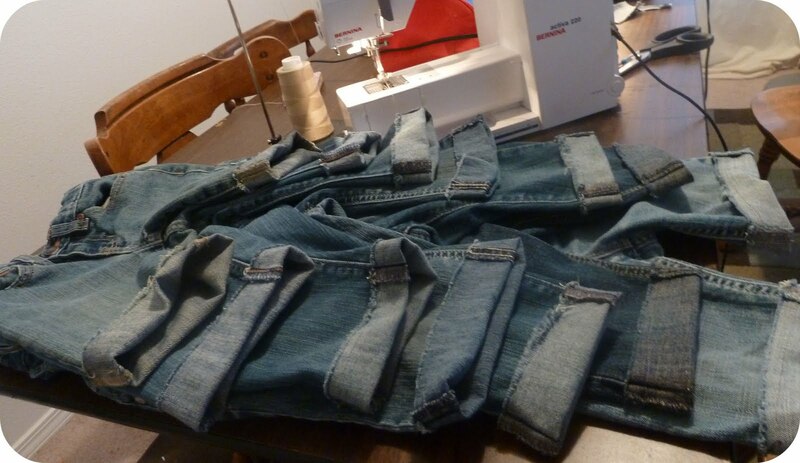 My favorite was to cut 7 pairs of little girls jeans into shorts for the summer. It was so satisfying to see this cute stack of cuffed jean shorts all ready for summer fun finished on my sewing table. 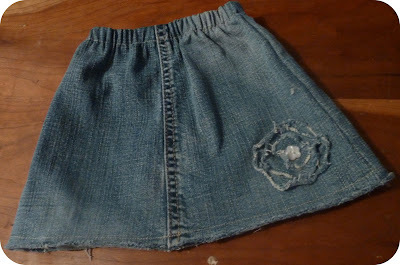 I got a little carried away and made a skirt from the lower legs that I cut off for the little sister. My girls are getting too big to be excited about the things that I make them and there is just something adorable about small clothes. For me it is sometimes more gratifying to serve people who don't live in my house. I know that is a bad attitude but it is true. I serve my family all day every day and it is nice to do something for friends occasionally. It has been a real joy to share my skills with others this week. It may have even awakened in me the desire to sew for my family. The list of projects is already starting to form in my head and I am getting excited about doing it. I love the flower on the jean skirt. So cute!